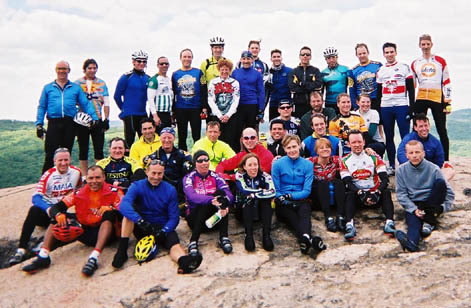 The crew, leaders and participants at Bear Mountain, Sunday, May 19, 2002. Click the photo for a larger view and the whos who. Click links at the right for the full story. "What the hell is the A-SIG? ", you ask? Click here for more information.